After headlining Rock The Bells this summer, singer/emcee Lauryn Hill will return to New York City on December 27 for a performance at the Highline Ballroom. 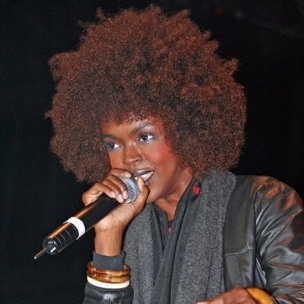 The former Fugees star and Grammy Award-winning soloist has resurfaced this year, with her single, “Repercussions” , which has been rumored to be the first look of a new album’s worth of material. UPDATE #2: Lauryn has added over a dozen new dates to her winter tour, including a total of six shows in New York. Tickets are available now. UPDATE #3: Last night’s (December 27) show has been postponed to February 1, 2011 due to snow. The venue will remain the Highline Ballroom. Tonight’s Brooklyn show is expected to go as planned.